Every aspect of a wedding is important, but many would agree that proper lighting plays a huge role in a venue’s success. All too often, wedding pictures and videos end up failing to capture the night’s essence due to improper lighting, which can be quite upsetting to the groom and his bride. 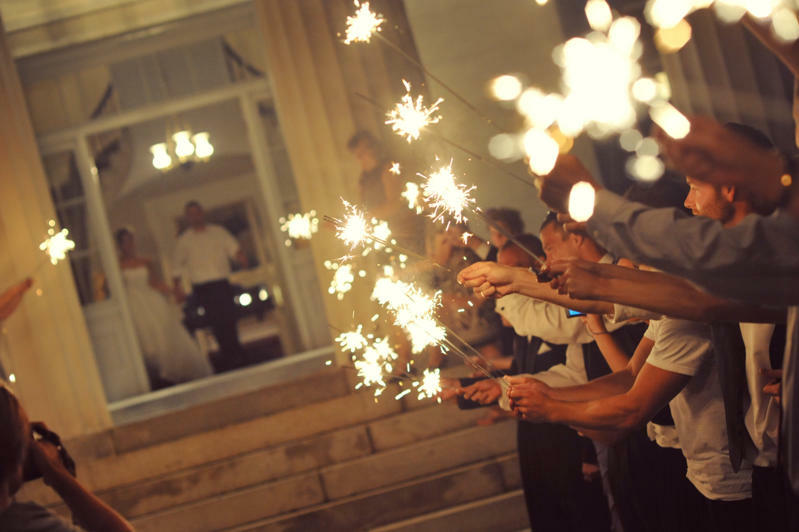 When using wedding sparklers to transform a wedding’s ambiance, many people have commented on how they felt their joy being amplified by the presence of these long sparklers, simply because of the warm glow that they produce. Want to end your wedding with the most beautiful sendoff? If you do, then ordering long sparklers is going to be crucial for a successful send off. The reason behind this is that shorter wedding sparklers last a maximum of 2 minutes, causing them to sometimes burn out before the groom and bride have reached their send-off point. In order for everyone’s wedding sparklers to be lit up at the same time, the lighting has to be done simultaneously. But since not everyone is lighter or match-savvy, the lighting process can become lengthy, causing some guest’s sparklers to burn out before others are even ignited. In order for everyone’s sparklers to spark in unison, long sparklers are usually preferable for send offs because they offer a larger time variable. Getting a hall full of friends and family members to settle down for a speech can be difficult when food and drink are plentiful. Instead of acquiring a hall’s attention by banging cutlery onto wooden tables or hitting a knife onto a glass, people have taken a liking to lighting up a wedding sparkler and letting it pull people’s attention towards it. Having a long sparkler handy is perfect for when the best man or maid of honour want to deliver their speech, as it creates a delightful ambiance and accompanies the speaker during their toast or speech.